Common Core English Language Arts uses close reading even in the early grades. What some might not realize is close reading comes from college. If you Google “college and close reading,” numerous PDF files and websites surface about how to teach college students close reading, and if you Google “kindergarten and close reading” almost an equal number of how to teach close reading websites also pop up. Tell me, if close reading mystifies college students, how baffling must close reading be for kindergartners? Shouldn’t college work stay in college? Think of it this way, you wouldn’t make a five year old wear an eighteen or nineteen year old’s shoes. The shoes wouldn’t fit! 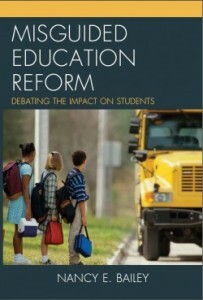 So why do reformers think they can make college work fit the brain of a kindergartner? It defies reason. San Diego State University Professors Douglas Fisher and Nancy Frey, who appear to support Common Core State Standards, discuss close reading at the elementary level in a paper published in The Reading Teacher titled “Close Reading in Elementary Schools.” They write about the use of text complexity, exemplars, frontloading, scaffolding, details, vocabulary, the author’s purpose, opinion and intertextual questions, key details, opinions, arguments, and intertextual connections. They also suggest kindergartners use Wikki Stix (yarn-like molding strips) to underline passages in their books since close reading includes analyzing the text. Children, they suggest, should do this before moving on to the use of sticky notes. This is seen as a solution to not writing in the books that the children most likely don’t own. But one cannot help but worry that this is reading overload for small children. Ask any parent whose child comes home from school hating it, who, at an early age, has been diagnosed as having reading problems. Many parents are beginning to ask questions. They worry that their children are unjustifiably and inaccurately being identified as having learning disabilities. They don’t buy into the idea that their kids are failing at reading. They don’t understand, or believe, their children ever had a reading problem. They wonder, instead, if children are being pushed to read before they are developmentally ready. Are children being pushed to read and understand complex text too early? Will they learn to hate reading? What we find, and it is indeed unfortunate, is that today’s education reformers are pushing the idea that the developmental stages, like those determined by Swiss developmental psychologist, Jean Piaget, which have served us well for years, (See Piaget’s stages HERE on Web MD), are outdated. This is worrisome because the research challenging Piaget just isn’t there. I think one of the most transformative pieces of addressing achievement gaps is, as I’ve been speaking about, needs to start with high learning expectations for all students, and that’s something that can sometimes make people feel uncomfortable. We approach the work occasionally with preconceptions about what students can and can’t do and what certain students can and can’t do. … It’s not a question of what a student can and can’t do. This idea that students are somehow stuck in discrete developmental stages has changed, this idea has changed in the half century since Piaget was writing about developmental psychology. Now the consensus seems to be much more that students can achieve things never thought possible, provided the right supports. So we need to start the achievement gap question with Do we really believe and do we really have high expectations for all students? This higher expectation talk is dangerous. It is not “preconception” when you teach according to a developmental foundation that has worked well for many years. And “consensus” is not research unless specified. Supt. Wagner has not displayed any proof that children learn faster than they used to learn in the past. Those who rally around the idea that young children should be pushed beyond their developmental years might agree with each other, but that certainly doesn’t mean there is proof they are right. My friend Sheila Resseger who worked as a teacher at the Rhode Island School for the Deaf, and who is a tireless activist for children, is working on an Op-ed piece concerning the research on this strange thinking, that children’s brains have somehow evolved to where they can understand higher-level learning. With her permission, I will share her information or provide a link to it after it is published. Children have learned to read well for years. We know what works. Should there be reading instruction improvements? Any new ideas should be field-tested for a decent length of time, carefully, and made with teacher and parental oversight. And children from poor backgrounds need to receive a vibrant, rich literacy program based on proven research that works! That is what has been missing in the past. Young children should not be driven to learn that which is beyond their reach. Close reading is a college skill, and little children, forced to walk in big shoes, might stumble along for a while, but they will eventually fall and get hurt. Fisher, Douglas & Nancy Frey. “Close Reading in Elementary Schools.” The Reading Teacher. 66(3). November 2012. Ken Wagner’s Responses to Several Key Questions during the joint meeting of the RI Board of Education and the Council on Elementary and Secondary Education at which his nomination by Governor Gina Raimondo as Commissioner of Education was confirmed. July 13, 2015. Courtesy of Sheila Resseger. I hope teachers will read this very accurate comparison of Close Reading with College Reading–and refuse to do it. For the sake of the children, REFUSE! Amen, Susan. Thank you. Parents should put up a fight too. If while we’re teaching children to read,we teach them to hate reading, what have we accomplished? Pushing them to dissect and analyze the stories when they should be ENJOYING reading stories will certainly turn most children off to reading. I agree. Motivation to read comes from learning how enjoyable it is when you are young. Thank you, Dorothy! As an English teacher and literacy PhD, this post boggles my mind. Nancy, are you a teacher? If not, perhaps you don’t understand that Close Reading is a strategy, not content. Strategies can be tailored to meet the needs of any level of student to teach content. Modeling, inquiry projects, and writing are other such examples of teaching strategies that can be employed at multiple levels of instruction. Close Reading just asks that students focus on multiple readings of a small portion of text for better understanding. The text chosen would be based on the readers’ ability level. For college students, this might be chemistry textbooks or Beowulf. For kindergartners, this would more likely be Dr. Seuss. I taught for 25 years, mostly working with middle and high school students who had reading disabilities. I know firsthand how important it is to help children learn to love reading from the start, especially if they have reading disabilities. I have also known many children who learned to read effortlessly because they were given plenty of opportunities to explore and read on their own–lots of books. They are successful today. Close reading is nothing new. Teachers have been using those techniques for years. But it has been commandeered by the CC creators and pushed down to the kindergarten level. I suggest you Google “close reading and kindergarten” like I noted in the post. You will find what I would describe a cold scientific reading approach slyly made to sound sweet for young children. It defies reason as I stated. You can certainly discuss a story with children, you can build your classroom around a book and its characters. You can even read the story a couple of times if children want to hear it. But it is the overreaching–the lacking trust that children can, if permitted, figure things out on their own that is troublesome. Micromanaging every step of the reading process is concerning. And also, as I stated in my post, there is a movement underfoot to make children learn faster. This stems from a belief that public schools have failed in the past, when the problem with schooling was and continues to be poverty. And there is a bizarre belief that children are now different than years past. Harassing little children to read at an early age will only make a bunch of neurotic adults who hate reading. Maybe you use a lighter approach than some? But the article in The Reading Teacher and what I see on the Internet, and what I hear from parents and teachers, make me worry. Young children should never be asked to close read a text, just because some one says it is so. I agree with Nancy, it is to much to soon for young children to read closely and derive at what the author is saying. As an adult, I close read what is important to me, and I make that choice, not someone dictating it to me. Making a young child close read anything is ludicrous and down right abusive. Children should learn to love reading and embracing all that literature has to offer. Each child will learn at his or her own pace, not at the pace of someone else’s choosing. Thank you, Laurie. I think it unfortunate, but time will tell. There is already evidence that children are acting out more likely because of high-stakes testing, what will this do to them? Nancy, thank you for writing this and writing it where it is so easily understood. It should be this simple to comprehend to everyone but many think they need to teach using this reading strategy. I hope this article helps teachers understand this is not appropriate for children and maybe parents will speak up for their children. You are brilliant, as always! I hope so too. I appreciate this comment which is from Lee-Ann who I know as a great teacher who cares deeply for children. Close reading is common in all other countries as part of pre-college curriculum; America is lagging behind. The real issue that you’re trying to get at here, which you’ve misunderstood, is “text complexity,” which is a grade by grade level issue, not an issue of reading strategy. And, given the reality that most Americans read at a 4-6 grade level range, it’s high time for instruction on close reading, which you’ve failed to explain. Thank you for commenting, Neva, but I must disagree. Very young students will learn poor reading strategies through close reading and text complexity and that was my point. And I must disagree with your other statement too, although many education reformers like to use the “America is lagging” mantra. 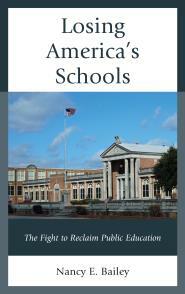 It’s good for pushing school privatization. Here is a great explanation of what I mean from well-respected researchers Martin Carnoy and Richard Rothstein of the Economic Policy Institute. I often visit the EPI when I want to learn the real scoop and dismiss the harmful rumors by those who want to dismantle public schools by forcing “rigor” on all children including our youngest and most vulnerable. I have to agree with you, Neva. The fact that I see college students who can only read at the literal level (and sometimes barely at that) is distressing. When I was a kid, we did SRA modules–those were basic “close reading” exercises that as you note were level-appropriate. I don’t see how close reading techniques applied to grade-level appropriate texts is a bad idea in any way. Fairy tales, for instance, have very little substance to them without close reading. I think that the article over-essentializes what close reading is and presents an “either-or” dilemma. I find that students (and again, I don’t teach K-12, so take this how you like) actually enjoy reading more when they see it as a chance to explore rather than being stopped at the literal level. Without comprehension and without some consideration of how the literature fits in the larger context, there’s little to be gained from reading at all. Thank you for sharing your opinion, Angel. Have you taken a look at a first grade basal reader lately? Some kids are not ready to read at all and many can not comfortably read Dr.. Seuss books. The material that they are treading is so simplistic that, in the name of close reading, kids are being taught that a one word topic or subject is a main idea. It’s not! Nancy is right. You can get kids engaged in a book and teach them how to look at it more deeply without formulaic close reading activities. Teaching children to enjoy and connect with books needs to come first. Here is an interesting anecdote: my daughter invited eight 7-8 year old girls to her birthday party. Three of the eight have to leave early to go to summer reading workshops because they are not reading “at level” for incoming 2nd and 3rd graders. These are not poor kids. They are the children af college professors, IT professionals, artists, and public school teachers. Most have qualified for GT programs. The children all know that they are “bad readers.” They are ashamed and do not like reading. The schools request and require summer programs. They aren’t fun. But feeling like a first grade failure is worse. My daughter was an early reader, but she currently attends 1.5 hours of private handwriting tutorials over three days a week and we expect to do this for about a year and a half at $150 a week. Our child has DCD, which statistically affects 1-2 children in every classroom. So now we’re up to 50% of the bday party group who are involved in expensive tutoring because they are either told to or feel like they must. The across the board expectations of young children and the shame they feel when they don’t meet them is real. The fact that kids are feeling completely inadequate before they are developmentally ready for certain tasks and skills is destructive. The fact that we don’t have accommodations or help for struggling kids before they have failed is sad. Equally important: These are kids of educated parents who can find a way to get the money together to do this and have the time and personal academic confidence to support their kids through the shame. What happens to the others?